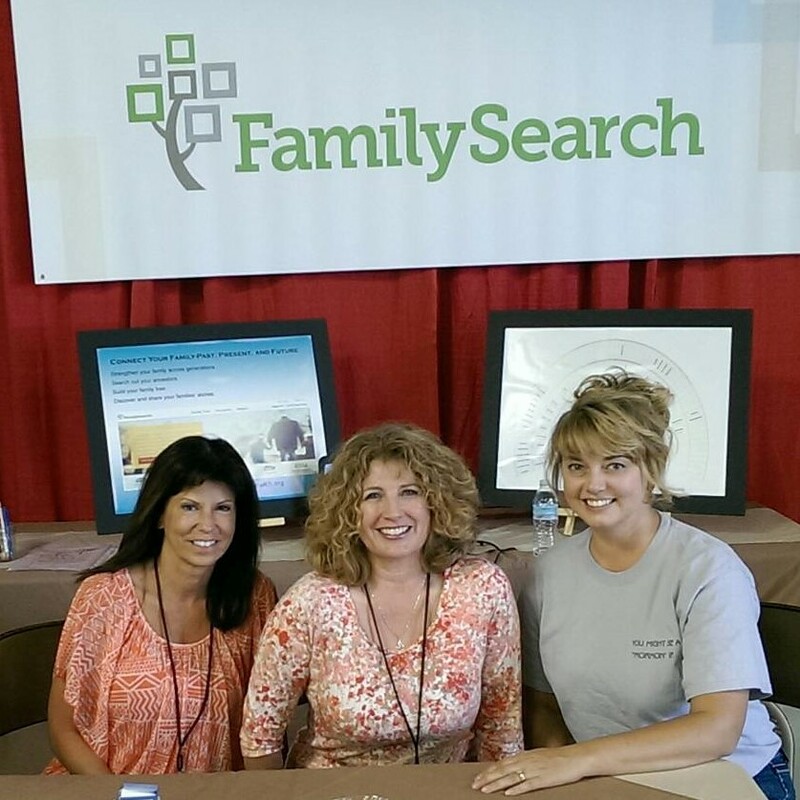 Genealogy conferences are a great place to gain the best education and see all your genealogy friends! 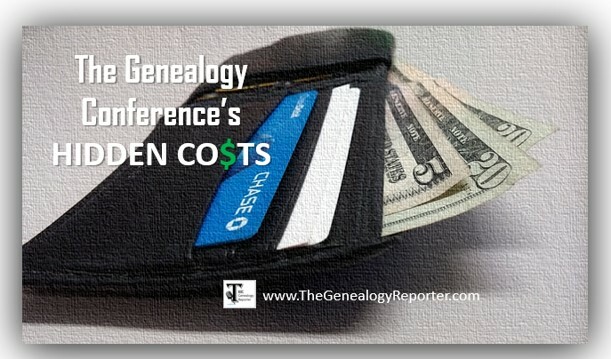 But, there are often hidden genealogy conference costs that surprise the new attendee. Don’t get blind-sided. Read ahead and learn what to expect and how to cut costs. It is the unexpected costs that throw you for a loop if you are not used to traveling frequently. Shuttle To and From the Airport – The cost of a cab or shuttle to and from the airport is a cost you might have forgotten. Many hotels offer a free shuttle to and from the airport for those with accommodations, however that is not a sure thing. Be sure to check with your hotel before your arrival. If your hotel does not provide free shuttle service, look into an Uber (click here to learn more about Uber) or share a ride/cab with a friend to cut costs. Parking – Parking is a hidden cost to attending a genealogy conference that I was totally unprepared for. It is important to realize not all hotels offer free parking. In fact, a recent conference in a large downtown area cost me $26.00 a day for parking. That was pretty steep! On another occasion, I found a reasonable price in a parking garage…only, I did not check to see when the garage was open. I parked my car there on a Thursday and went back on Saturday only to find the garage was not open over the weekend! Thankfully, I was able to get my car out, but it was a hard lesson learned. Remember, parking on the street can also cost a pretty penny and you may have to pay throughout the day. Many big cities have the option of using a credit or debit card to pay the street fee, but some still use coins. Prepare accordingly. I suggest calling the conference venue and asking about parking options, prices, open times and days, and any special conference discounts. Another way to cut costs is to car pool. If several people drive to conference together, they can share in the expense of the daily parking fee. Lastly, consider your public transit options. At RootsTech, you can use the TRAX which offers free transportation around the downtown area. I had never used public transportation, but was delighted at how safe and easy it was to use. Tips – Though tipping is customary, it is ultimately your choice. If you choose to do so, be sure to carry some dollar bills with you. You may wish to tip your cab/shuttle driver, the valet, or your maid service. Everyone will feel differently about what an appropriate tip amount will be, but I have found between $2 to $5 is about right. Food – We all have to eat, don’t we? I have found vending machines and water fountains work in a pinch, but that is not very sustaining for multiple days! In some cases, the venue or hotel is the ‘only’ place to get a meal. Eating at a location, such as a resort, can be costly. Prepare accordingly. I suggest checking ahead to see how far the venue is from local restaurants or a grocery store. Is it within walking distance? If you can walk or have a vehicle, you can make a quick run to a local fast food place or shop at a grocery store to save some money. One little trick I have learned…buy a nice size evening dinner and take 1/2 back to the hotel room. The next morning, warm it up for a nice, free breakfast. This works especially well when your hotel does not offer a free breakfast! Saving on Hotel Accommodations – Here are a couple things you should know regarding your conference hotel accommodations. When calling the hotel or venue to make a reservation, be sure to let them know you are attending the conference. Many times, there is a discounted rate for attendees. Sometimes, getting a hotel room a bit of a distance from the venue will also save you money. However, be sure to weigh the cost of getting to and from the conference and make sure it isn’t actually going to cost you more in gas, a cab, and parking. Consider sharing a room. 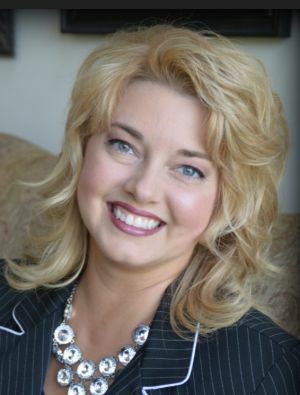 Bunking up with another fellow genealogist or two, or three, will save you some big dollars. Put it out there that you are looking for a roommate and start early. Saving on Registration Fees – Though registration is always an expected fee, there are some ways to save money or even attend for free. Many organizations offer contests for free registrations or scholarship opportunities to send you to a conference. For example, each year, RootsTech Ambassador’s run contests for a free registration to RootsTech. There are many other opportunities for conferences like the NGS, GRIP, and others. For a full listing of scholarships and grants, see Conference Keeper by clicking here. Prepare, prepare, prepare! Planning ahead will make all the difference to a successful genealogy conference trip or one that breaks the bank. See you soon! Regarding hotel discounts, double-check when the discount is valid. Many conferences offer classes prior to the actual conference start date and sometimes the discount doesn’t kick in until that start date. The same applies if you plan to stick around after the conference officially ends. You may want to move to a less expensive hotel. Yep – you really have to think things through. It is too bad you have to often go to a “big” city for conferences as prices in those big cities is often very high as Aime explained. That is one reason RootsTech is such a great deal. I don’t think there is another city of that size that is a reasonable for housing, parking, etc. Plus the view of the mountains in the winter is to kill for. LOL! Thanks, Bob! I didn’t catch that typo! See you in February!